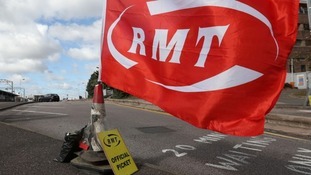 Rail workers were said to be solidly supporting their 38th strike in the long-running dispute over guards on trains. Members of the Rail, Maritime and Transport union at Arriva Rail North (Northern) mounted picket lines outside stations. Services were disrupted, with only around a third of the usual number running. Talks between the two sides are expected to be held at the conciliation service Acas next week. The union said it had set out three principle objectives to be met which would have facilitated talks and allowed for today’s action to be suspended. RMT general secretary Mick Cash said: “I want to pay tribute to RMT members across Northern Rail on this 38th day of strike action. “It is their sheer guts and resilience that has kept the fight for safe and accessible rail travel for all across the Northern franchise in the spotlight while the company continue to duck and dive and refuse to face up to the key issues. “RMT made it clear that we needed a formal response from Northern Rail by noon yesterday to the core principles around the role and responsibilities of the second person on their trains. “We are angry and frustrated that no such response was forthcoming, and as a result of the company’s failure the action has gone ahead today; exactly as planned. “It has only been the resilience of RMT members and our supporters from the ‎travelling public whose solidarity and determination have been instrumental in getting the focus of the dispute back on to the guarantee of a second person on the train.